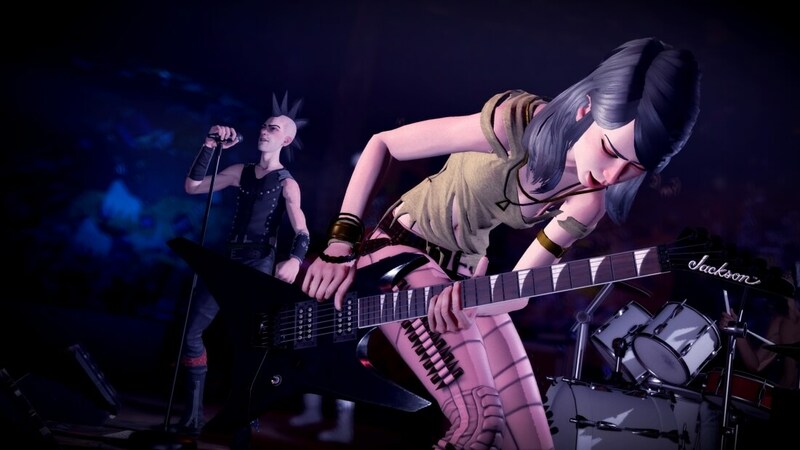 The crowdfunding campaign to bring Rock Band 4 to the PC may have fallen short of its goal but developer Harmonix still has big things planned for the rhythm game later this year. During a recent PAX East panel, Harmonix finally addressed a feature that fans have been clamoring for since the game’s launch. I’m of course referring to synchronous online multiplayer, something the developer promised will arrive this holiday season. Project manager Daniel Sussman initially addressed the matter late last year, noting that there would be a ton of testing and technical back end work needed to make online multiplayer a reality. Sussman cited the different combination of instruments and difficulties as just a couple of hurdles they would have to take into consideration when building an online mode. Harmonix also revealed that Rock Band 4 would be getting its first DLC this fall. The paid expansion is said to include improvements to the music library such as the ability to filter by genre and rate songs. Community lead Josh Harrison said expansion packs for games like Destiny and World of Warcraft served as inspiration for the Rock Band 4 DLC, describing some of the other (unannounced) new features as being really huge and brand new. Other tidbits include the fact that the crossover Battleborn DLC for Rock Band 4 will arrive next month followed by a practice mode in June. The former will introduce Battleborn characters Thorn and Miko to the mix while the latter will let players practice select sections of a song they need help mastering.